Events Calendar – Oklahoma Miniature Horse Club Inc.
June or August TBA; General Membership Meeting/Discussion about next year’s shows – Noon to 3 p.m.
October 5**; General Membership Meeting/Election Of Officers – Noon to 3 p.m.
December 7**; General Membership Meeting/Year End Awards & Christmas Party – Noon to 4 p.m.
ALL PREMIUMS, CLASS LISTS AND ENTRY FORMS ARE LOCATED ON THE FORMS WEB PAGE. Host hotel information is located below. Fun and informative training show. Open to all miniature horses and donkeys – registered or not. No show clothes required. NEGATIVE COGGINS REQUIRED. Show begins at 10 a.m.; office opens at 9 a.m. The judge will be giving a 30 minute informative clinic on showmanship before the show begins. Stalls will only be set up, upon request. If you wish to reserve a stall, please contact the show manager. In April and May ABRA Buckskin classes are being held in conjunction with AMHR/ABRA Show 1 & AMHA/ABRA Show 2 – separate entry forms & fees apply for each show. Please MAIL entry form(s), legible horse paperwork and payment by the pre-entry deadline to the show manager. 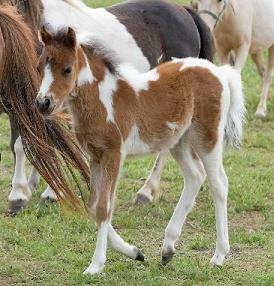 Breed shows for the American Miniature Horse Registry (AMHR); American Miniature Horse Association (AMHA); American Buckskin Registry Association (ABRA). Current Health Papers & NEGATIVE COGGINS REQUIRED. Donated horses to be given away in April and May. Become a member and come to the April, May & Sept. shows to be eligible for the Overall High Point Circuit Awards – one given for AMHR and AMHA. FREE CLASSES for the current youth members at both AMHR and AMHA shows (some restrictions do apply). Shows begin at 8 a.m.; measurement begins at 3 p.m. on Thursday. Show office opens at 2 p.m. on Thursday and at 6:30 a.m. each morning of the show. There will be a silent auction at both the Red River Shoot-Out and Mini Stampede shows. Part of the auction will close on Friday and the rest will close on Sunday. There will be a free pizza party on Thursday evening around 6 p.m. during the measurement/move-in at both the Red River Shoot-Out and Mini Stampede shows. The Red River Shoot-Out falls on Easter weekend this year; so on Saturday during the lunch break we will have an Easter “Egg-Stravaganza” that will include an Easter Egg hunt and fun and games for the youth and adults. JoVon Miniatures and Crosswinds Farm will be hosting the donation cook-out during the show; part of the proceeds go to OMHCI, so it is asked that you donate generously. Exhibitors are asked to bring a side dish and/or dessert. If you have any questions about the cook-out you can contact Leigh Murray at (405)-714-8595. Water, soft drinks and tableware will be provided by OMHCI. Breed shows for the American Miniature Horse Registry (AMHR); American Miniature Horse Association (AMHA). Points for the current year and also to go towards the next year. Current Health Papers & NEGATIVE COGGINS REQUIRED. There will be a free pizza party on Friday evening around 6 p.m. during the measurement/move-in at the show. Shows begin at 8 a.m.; measurement begins at 3 p.m. on Friday. Show office opens at 2 p.m. on Friday and at 6:30 a.m. the morning of the show.